The configuration of the stars of the coming Full Moon in Taurus will be magnificent for the intense energies triggered in the sky. On one side, this Full Moon will have the qualities of a Super, Super Full Moon, meaning that our satellite will be at its closest position to the Earth since 1948; on the other side, the Black Moon Lilith, which represents karmic imprints and the calling to the inner truth, will be conjunct the Sun at 23° Scorpio and opposite the Moon at 23° Taurus. In our former blog we clearly described the energies of this Scorpionic time of the year. We are definitely at the end of the old way of living our lives and coming to the understanding that what we truly are in the depth of the Self is very different from the idea that we hold in our mind. We have been struggling between the old and the new for quite a long time and Scorpio has brought this inner conflict to the surface for its resolution. Scorpio is about death and rebirth, recapitulation and reorientation, and with its turquoise quality it speaks about the process of individuation, which means going beyond the erratic intellect and accepting who we deeply are. This is the sign of the Sun/Soul, whose energetic influence will be enhanced, because the Earth will fully receive an unrestrained flow of energy from the constellation where it is located. Scorpions most often bite the heel, which according to the Semang cultural tradition represents the place through which the soul leaves the body at the time of death. The heel holds the foundation-stone of our body structure and, once it is affected, the person falls down. In the Jewish tradition the heel is called the Angel of Death in Man and it is described as the place expressing our lowest mundane level, but it also relates to the coming of the redemption. At the time of the Full Moon the veil of illusion is lit up, it is a time of emotional tuning of the themes appeared during the previous New Moon, a time where “a stream of love is poured forth by all Masters” (Master Djwal Khul) to support our rise in consciousness. The Black Moon Lilith will stand next to the Sun at 19° Scorpio. Black Moon Lilith is not a planet, but a point in the orbit of the Moon, called apogee, which is furthest away from the Earth. Lilith appeared first in the Sumerian mythology as the handmaid to the Goddess Inanna, the Queen of Heaven, and later as the first exiled wife of Adam in the Hebrew tradition. Lilith’s presence makes us experience a spiritual crisis in order lift up the illusionary veils of the personality and reveal the naked Truth of the soul. The Sabian symbol for Lilith is about the courage to go through the veiling darkness and plunge ahead into the unknown territory of the soul. It is about a “unitive life”, which occurs when we go beyond fear and selfishness in order to rediscover the love that we hold within. The hidden hypothetical planet Vulcan at 26° Scorpio, conjunct the Sun, is the esoteric ruler of Taurus, both on the Fixed and Cardinal Crosses. Vulcan vehicles the energy of Ray 1 of Will and Power, which stimulates the process of death and the opening of the door to a clear vision of the Divine Plan. 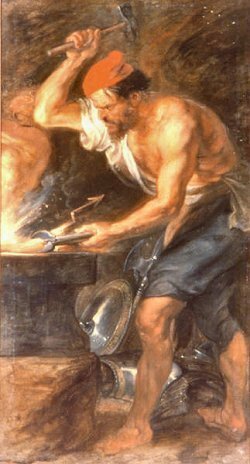 Vulcan is the God of Fire and he creates the need for going deeply into the material aspect of life in order to free an individual from his identification with the form. In the esoteric teachings Taurus is associated to illumination and the opening of the third eye, which means to be able to awaken the Higher Mind functions and see reality as it is. It teaches us about the nature of desire, assisting us in releasing our personal attachments and shaping matter as an expression of spiritual values. The Taurean challenge is a constant struggle between Spirit and matter, self and non-self, creating a strong inner sense of separateness. In the universal language of colour Taurus relates to coral. Coral is about unrequited love, dependency and co-dependency issues. As we do not love who we deeply are, we look for that love in the outer world, thinking that if we own, if we have, we will fulfil that sense of separation and unworthiness that we feel inside. Taurus on the Cardinal Cross (the Cross of the initiate) is about going beyond the limits of the personality (thinking, feeling and behaviour) towards the resolution of this conflict so that we can live from soul. The Moon will be conjunct the Fixed Stars Algol and Capulus, which are both positioned in the constellation of Perseus. Perseus was the son of Zeus and Danae. As a young man he undertook the mission of killing Medusa, one of the three Gorgon sisters whose hair was changed into hissing serpents by Minerva. Everyone who looked at her tenebrous beauty was changed into stone, symbolic of the identification with desire, which gives birth to the rigid mental structure of the personality (stone), trapping the soul inside. 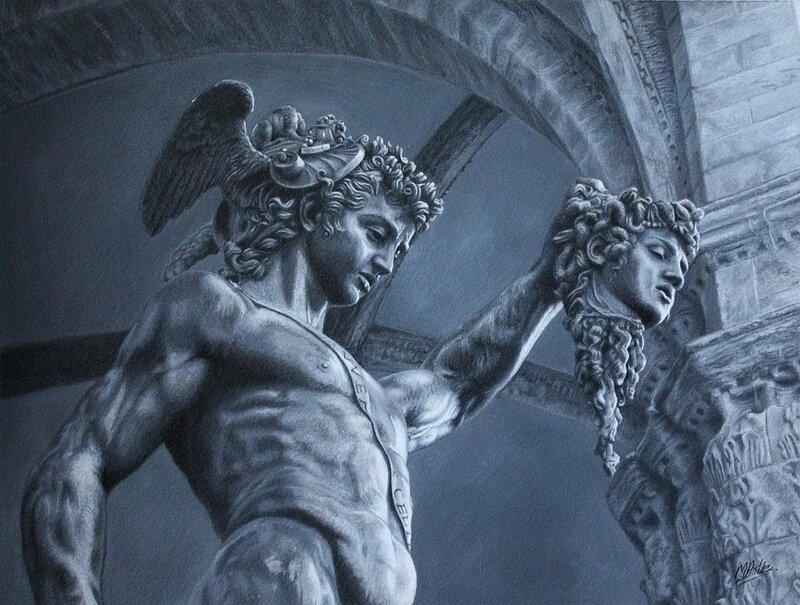 Perseus slayed Medusa by cutting her head off while she was asleep, guided by her image reflected in the luminous shield that Minerva had given him. 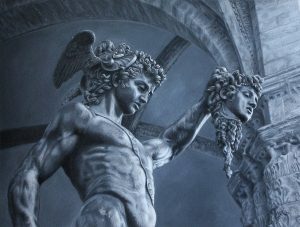 Algol is positioned in the Head of Medusa, which represents the illusion coming from desire; while Capulus is a cluster in the hand holding the sword which slayed her. 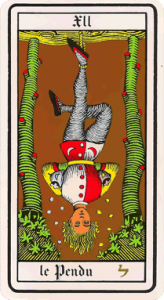 Capulus is associated to the Hebrew letter Lamed and the esoteric Tarot card The Hanged Man. The Lamed represents the heart breaking through the limitation of the rational intellect and aspiring to the Divine guidance. 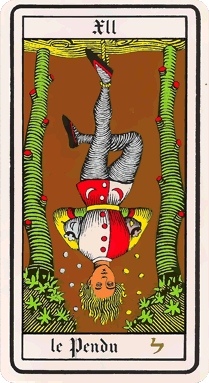 The Hanged Man is the all-seeing eye (in esoteric numerology 12/3 is the Eye of the Trinity), which is able to perceive the glamour and illusion of the outer world and is giving over in obedience to the impulse coming from the soul. Conjunct the Moon we have the little planet Sedna (discovered in 2004), which is located far beyond Pluto and which it takes 10.500 years to orbit around the Sun. Sedna is the Inuit Goddess of the Ocean who rules the marine life and controls the fate of humans by releasing her bounty to those who respect the sacredness of life and withholding it from those who are careless. In her myth Sedna had no choice, as her father betrayed and killed her. 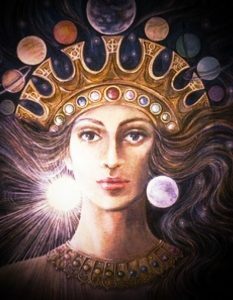 On the Mutable cross Sedna is the expression of victimization, which then evolves into the decision of letting go of our personality and accept our soul (we are forced to answer no to the personality and yes to the soul; Sedna physically died but became immortal) and develop inner compassion for what we left behind. 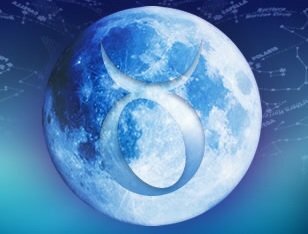 The main aspect of this Full Moon in Taurus will be a quincunx formed by the Sun, Lilith and Vulcan, and Uranus conjunct Eris, Ceres and Andromeda in Aries. The presence of “rebellious” Uranus suggests a time of unpredictable changes in relation to what was initiated at the last New Moon, and a stage of personal transfiguration inducted by the awakening power of the “Voice of God” that this planet embodies. Ceres represents Mother Nature, the Goddess of growth, grain crops and grieving, and the bond between the mother and the child. On one side, she is the emblem for separation and dying, and the mourning and grieving related to it, but she also associated to re-birth, new beginning and re-generation. 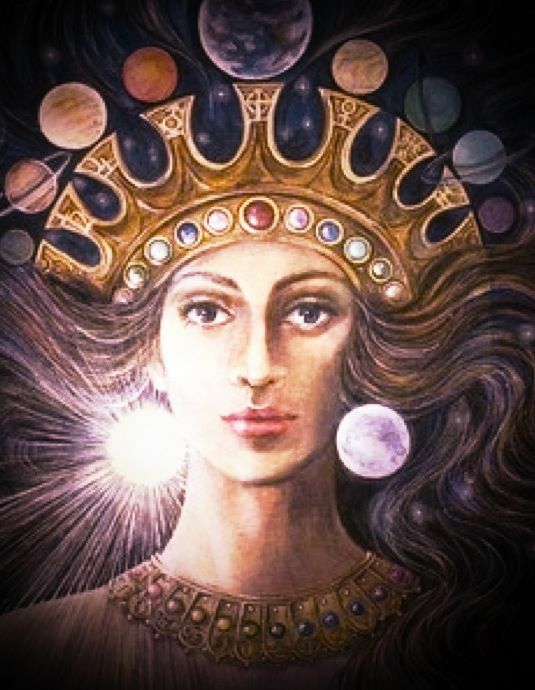 Ceres reminds us that the new is always hidden behind the painful end of something; her task is to hold our hand as we walk through the dark nights of the Underworld (unconscious mind), teach us about the soul and the meaning of its existence. 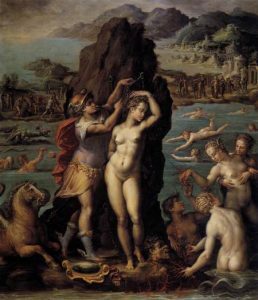 In this configuration Ceres stands next to Andromeda, the Chained Maiden, who was liberated and married by Perseus after he slayed Medusa. In the Kabbalistic tradition this constellation is associated to the esoteric Tarot card The Stars. This tarot card talks about truth and love. It is about giving up any hope that belongs to the personality to follow the soul path; somehow we realize that we have to let go of all the needs and desires of the little self in order to connect to something greater; there has to be obedience to the soul as there is absolutely nothing else we can do but obey. The Stars represent the triumph of love and hope over the rational aspect of the mind; they symbolise the realization of Heaven (the soul) on Earth (body). As the desires of the personality crumble in front of our eyes, a new vision emerges and we will finally own the truth of the soul. Love is the only energy that truly drives our will and, as we recognize it within us, we can manifest not our own idea of the world but the One that Spirit has in Plan for us all.